heat oil, season with mustard,jeera,methi seeds,urud dhal,curry leaves. fry shallots and chopped garlic and then chopped tomatoes. fry well adding turmeric, red chilli powder,and salt to taste. allow to fry well with masalas adding a little water. boil well till oil seperates and becomes thick. 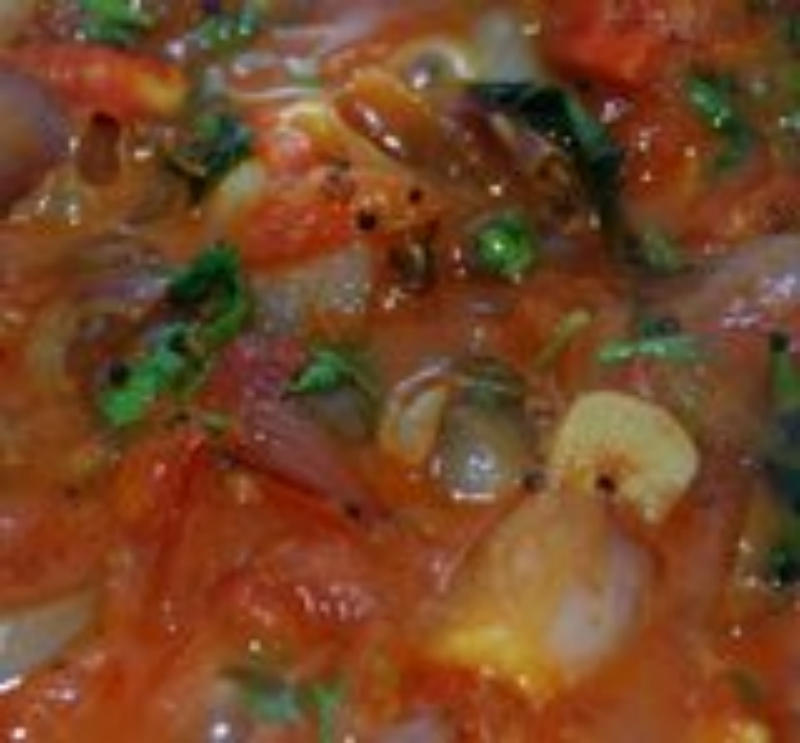 serve hot with plain rice or even with idli, dosa, or rotis. Sneha u did not mention the quantity of uradh daal. You just wrote 1/2. Is it half tbs or tsp or half cup? shallots are small onions which are basically used in sambar.u may replace with regular onions chopped into small pieces if you dont get them at your place. what is Shallot? Give me another name for shallot either in hindi or marathi. Plz!!!!! !